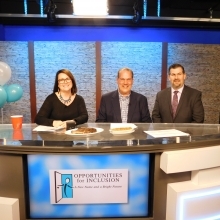 Kelly Hill and Rick Pizzi speak with David Gurwicz (right), manager of Ruth's Chris Waltham, during the live TV auction. 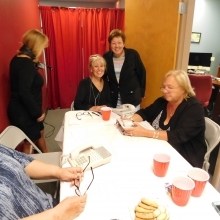 Ruth's Chris donated several auction items. 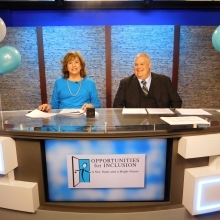 Roz Rubin, GWArc CEO, and David Felton, Rockland Trust Vice President, kick off the live TV auction! 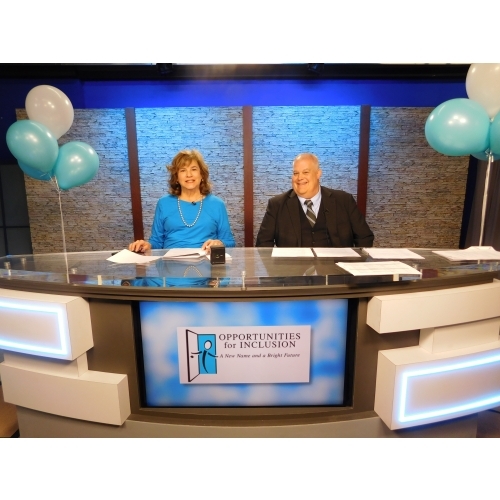 Rockland Trust People's Federal Foundation Inc. was Premier Sponsor of the auction. 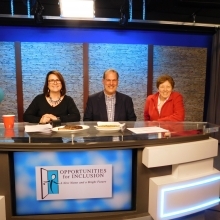 Waltham Mayor Jeannette McCarthy (right) joins Kelly Hill, GWArc Board member, and Rick Pizzi of Pizzi Farms to host the live TV auction. 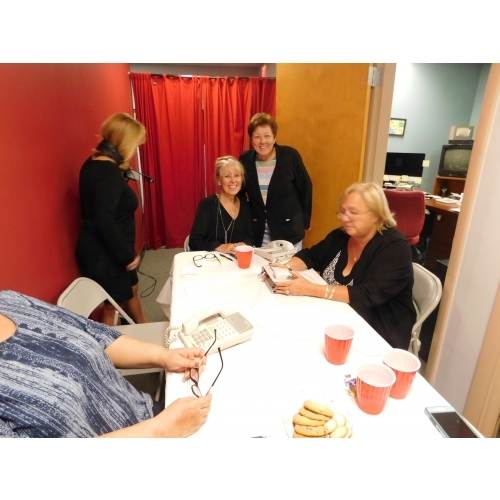 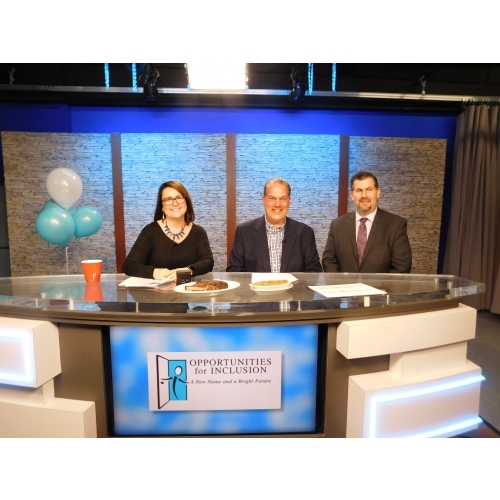 Connie Braceland, Watertown Savings Bank, and Bob Marcou, Marcou Jewelers, were great co-hosts. 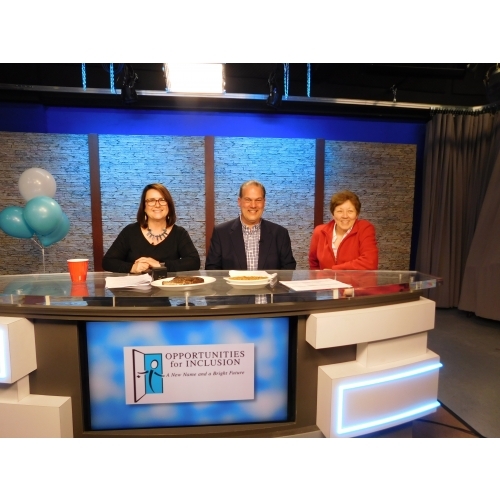 Watertown Savings Bank was a Corporate Sponsor of the auction. 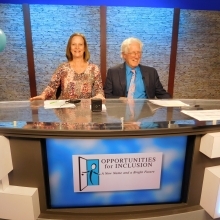 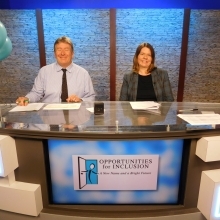 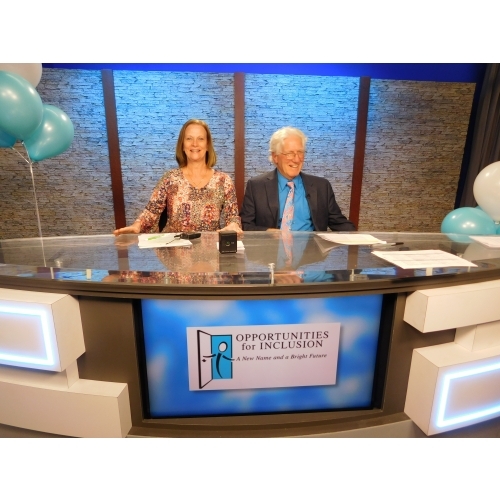 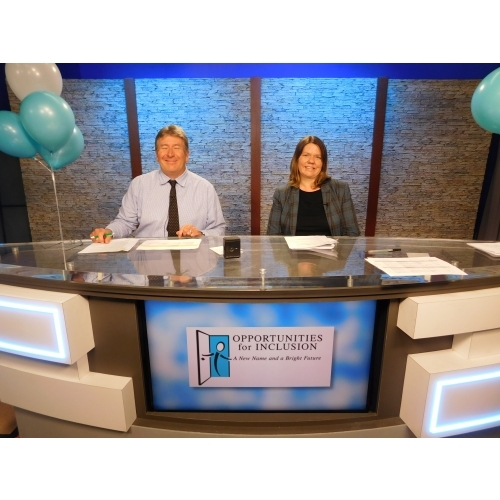 Phil McGrady of WCAC TV and Samantha George of Embassy Suites Waltham co-host a Live TV Auction segment. 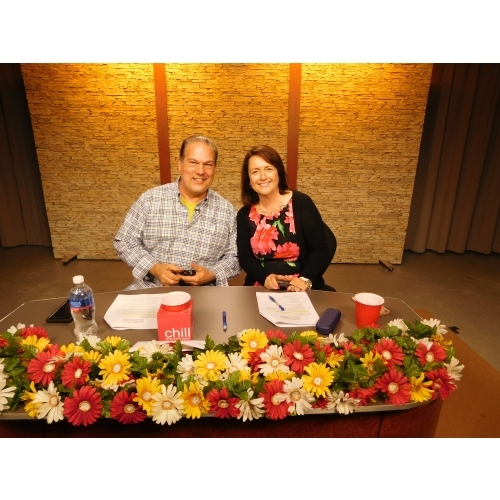 Roz Rubin, GWArc CEO, and Bob Gallagher, Rockland Trust Business Development, closed out the auction after a successful evening. 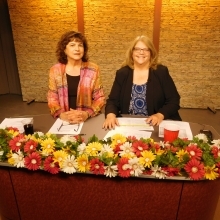 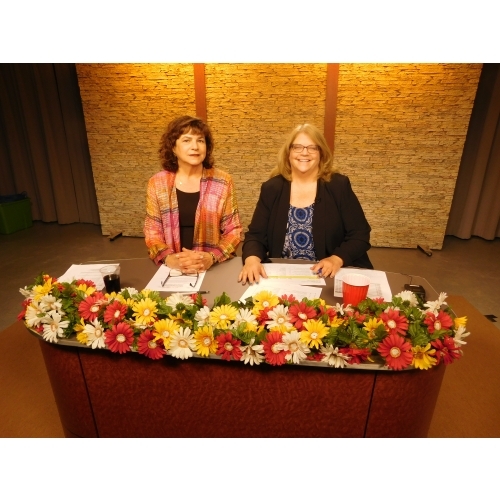 Roz Rubin and Maria Sheehan, Executive Director of WCAC-TV, host the first segment of our "Spring for GWArc!" 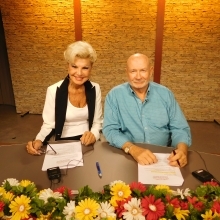 Live TV Auction on April 27, 2017. 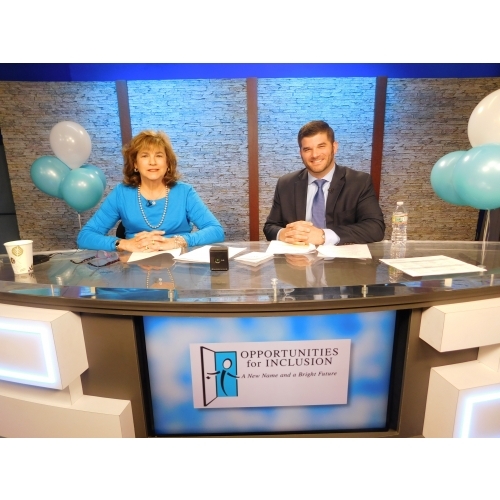 Co-hosts Yolanda Cellucci and Justin Barrett present auction items during a thirty minute segment. 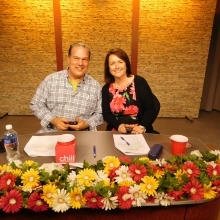 Co-hosts Rick Pizzi and Kelly Hill present auction items during a thirty minute segment. 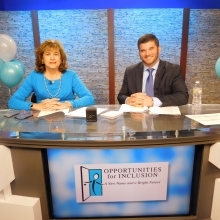 Waltham Mayor Jeannette McCarthy (above, standing) steps in as a guest host early in the evening.